Your tax money keeps the U.S. government up and running, and selling U.S. savings bonds contributes to the country’s borrowing needs. They go hand in hand, and the tax code officially linked them in January 2010 when the government made it possible to almost effortlessly purchase savings bonds with tax refunds. If you’re like many taxpayers, you’ve probably been planning how you’re going to spend that tax refund ever since you submitted your return and realized you were entitled to one. Then again, you might be a saver by nature. Savings bonds are among the safest of all savings options. Unlike the stock market and other types of investments, you simply cannot lose the money you invest in savings bonds unless the U.S. effectively ceases to exist. Bonds are secured by the “full faith and credit” of the government. The IRS offers Series I bonds for purchase with tax refunds. These are the ones that aren’t locked into the same interest rate over the entire life of the bond. As the economy ebbs and flows, so will a component of your I bond’s interest rate. Not only are these savings vehicles safe, but they’ll earn you a little more money when the economy is on an upswing. The interest rate setup effectively protects them against inflation. I bonds come with two interest rates: a fixed rate over the 30-year life of the bond and an adjustable rate that’s tweaked every six months in May and November. The adjustment keeps pace with inflation. As of November 2018, these two rates combined to pay a composite rate of 2.83 percent, which includes a fixed rate of .5 percent. The inflation adjustments are based on changes in the Consumer Price Index. Interest is paid on the first day of each month, and it’s compounded twice a year. These are face value bonds, so you’ll get a $50 bond if you spend $50 of your refund to purchase one. 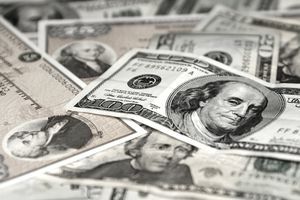 Other types of bonds must grow into their face value over the years, although the U.S. government does guarantee that the face value of some bonds will double over 20 years. You don’t have to wait with I bonds. What you purchase is what you get. You can usually cash out your principal and accrued earnings after one year, although a penalty might apply, and you can do so at almost any bank or financial institution. I bonds are sold in denominations of $50, $100, $200, $500, and $1,000. You’re limited to purchases of no more than $5,000 per year. You can purchase bonds in your name, in someone else’s name, with a co-owner, or you can name a beneficiary. The co-owner option is a change since this program was first introduced in 2010, as is the provision that allows you to purchase bonds in someone else’s name. Unlike with other investment options, even your minor child can own a savings bond. Buying bonds with your tax refund is as easy as submitting IRS Form 8888 with your tax return. This has historically been the form used to divide refunds among various bank or retirement accounts. The IRS amended the form in 2010 to add Part II, which provides the savings bond option. You don’t have to sign up online with Treasury Direct, the portal for buying electronic bonds, unless you want to. And you don’t have to direct that all of your refund should go to savings bonds. Feel free to spend a little on bonds and drop the balance into your bank account by direct deposit or ask the IRS to mail you a good, old-fashioned paper check for the amount that’s left over after your purchase. You can enter your bank account and routing numbers on Form 8888 if you choose the direct deposit option, just as you would if you weren't buying bonds. Your bonds will be of the paper variety, unfortunately. The IRS will mail them to you. But you’re not locked in to keeping them in a safe place or remembering where you put them over an extended period of years because you can go to Treasury Direct and use the SmartExchange option to convert them into electronic form after you receive them. Your bond’s issue date will be the first date of the month in which the IRS forwards the money to the Treasury Retail Securities Site. Of course, the interest you’re earning is typically taxable, although generally not until such time as you redeem your bonds. And it might not be taxable, depending on what you do with the money, another reason why savings bonds can be a smart investment. First, the interest is never taxable at the state or local levels, which can be a nice perk if you live in an area with hefty tax rates. As for taxes at the federal level, you don’t necessarily have to wait until redemption to report and pay taxes on all the interest that's accumulated over time. You can do so annually if that works out better for you, such as in a year when your tax rate is comparatively low and you think you’ll be earning more in the future. You won’t be taxed on this portion of the interest when you redeem your bond or bonds later. And interest you use to pay for qualified education expenses is tax exempt even at the federal level for bonds purchased after 1989. Of course, some rules apply. The purchaser of the bond must be at least age 24. But this can be a great, safe, painless way to save for your child’s education. You’ll lose the last three months’ interest the bond has earned if you redeem them within the first five years, although there’s no penalty after this time. And you must keep the bond for at least one year, so you should be reasonably sure that you won’t need the money within the next 12 months. The government makes an exception to these rules for certain emergencies, such as if you live in a nationally-declared disaster area. Treasury Direct provides a list of waivers on its website. And 2.83 percent interest isn’t going to make you a millionaire overnight…or ever. But these bonds can provide a nice, steady anchor for your investment plans.